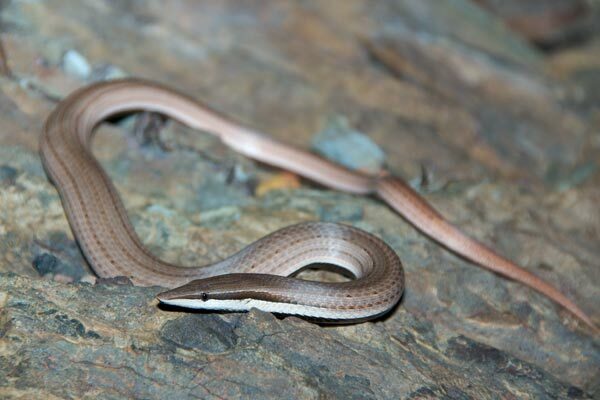 This species is Australia's most widespread reptile, and is considered common. Still, this is one of the species I most wanted to see on this trip. 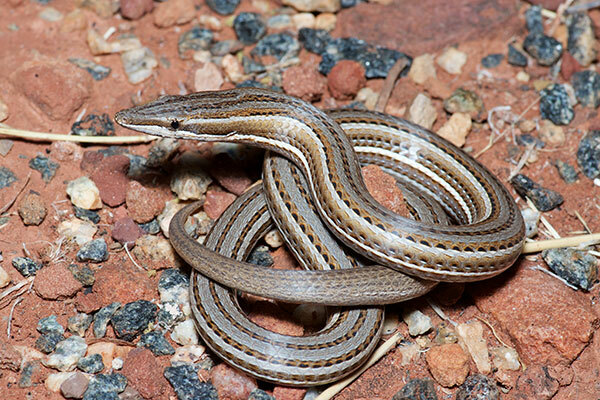 Lialis lizards are more snake-like than any of the numerous other groups of legless lizards. For instance, they have the snake-like ability to unhinge their jaws in order to swallow very large lizards whole. They are also reach the largest size of any pygopodids. This particular lizard has clearly eaten something large recently, as shown by the huge bulge in the first picture. Here is a complete list of the reptiles and frogs I saw on this trip to Western Australia. 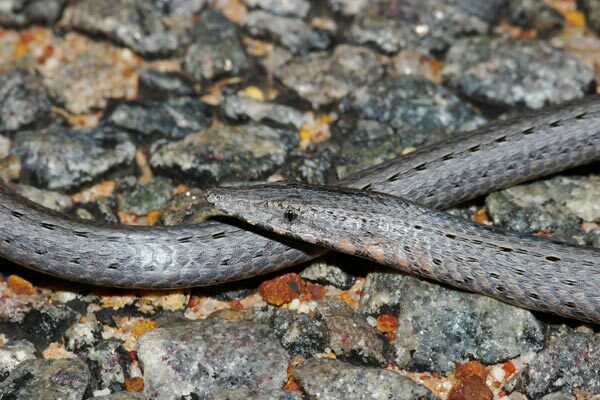 This species is extremely variable in coloration and pattern, as you can see just by comparing this one with the one I found earlier in Western Australia. 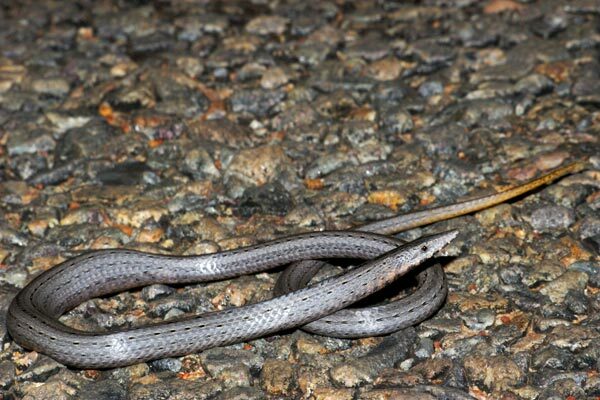 It is likely that further studies will end up splitting it into a number of separate species. Ive written up an account of this three-week trip to Australia here. This one from the center of Australia has a particularly nice stripey pattern.